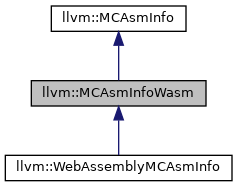 Definition at line 15 of file MCAsmInfoWasm.h. Definition at line 19 of file MCAsmInfoWasm.cpp. 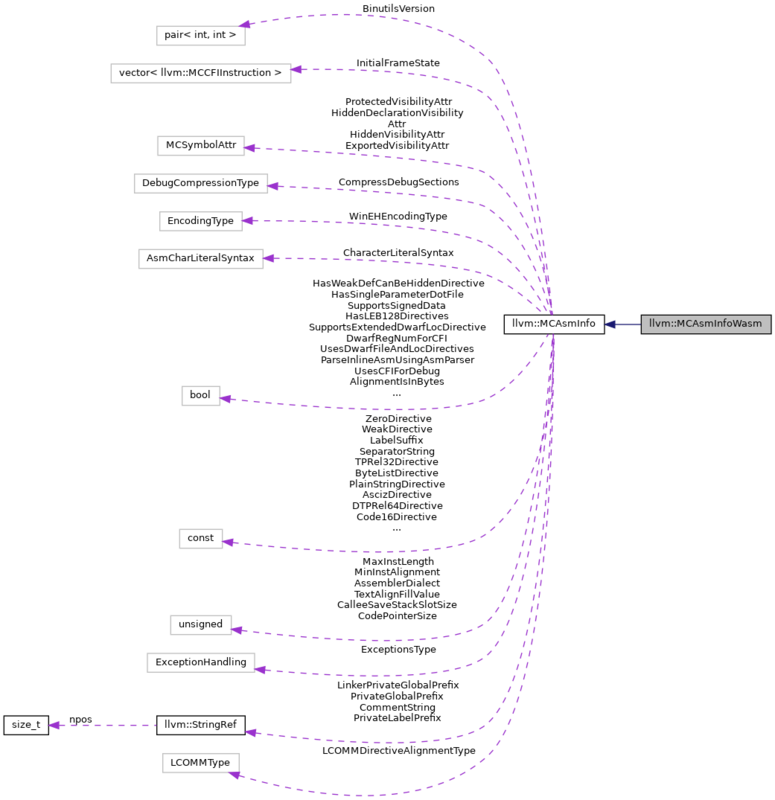 References llvm::MCAsmInfo::HasIdentDirective, llvm::MCAsmInfo::HasNoDeadStrip, llvm::MCAsmInfo::PrivateGlobalPrefix, llvm::MCAsmInfo::PrivateLabelPrefix, and llvm::MCAsmInfo::WeakRefDirective.